Gorgeous green pieces of tumbled Emerald, available in a few sizes. 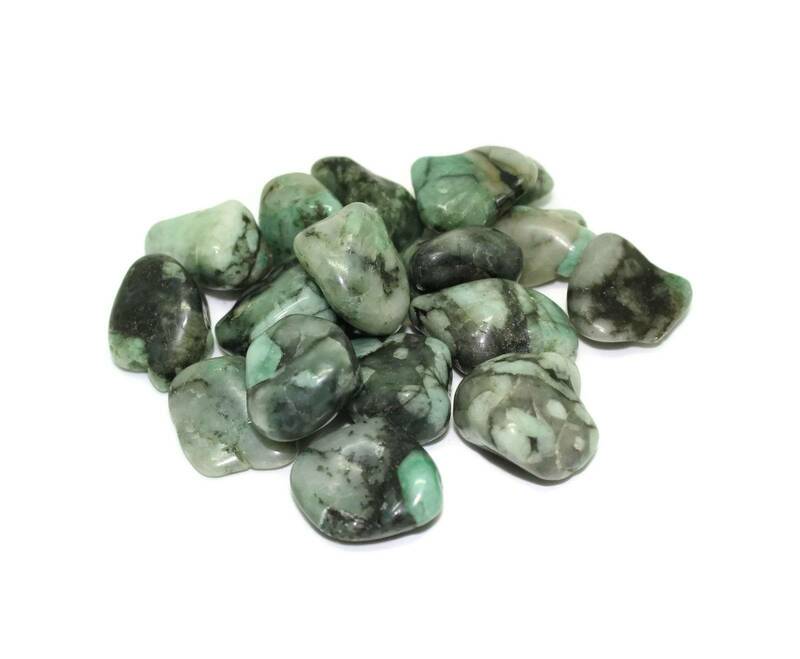 Emerald tumblestones are not particularly common; it is not typically thought of as a stone you might find tumbled. 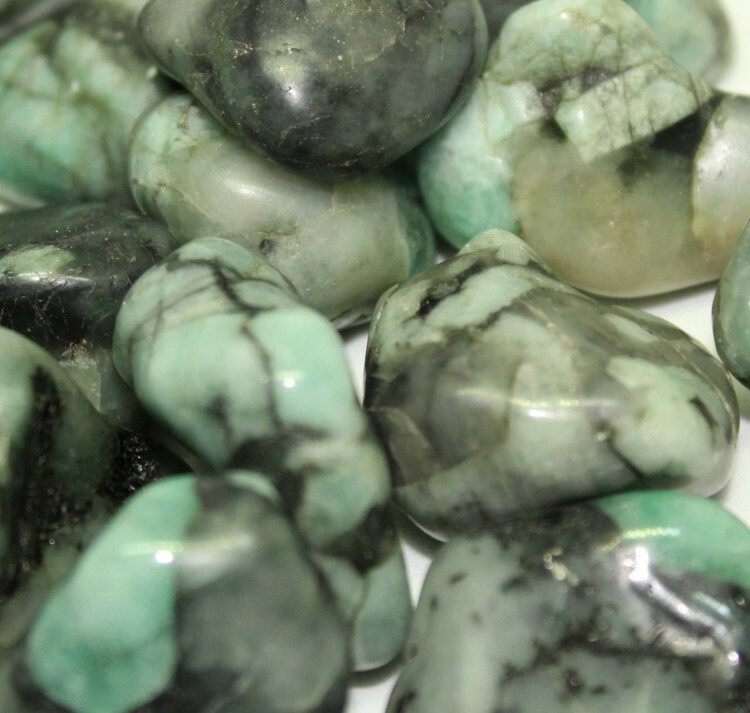 However, the lower quality grades of the stone are quite inexpensive. 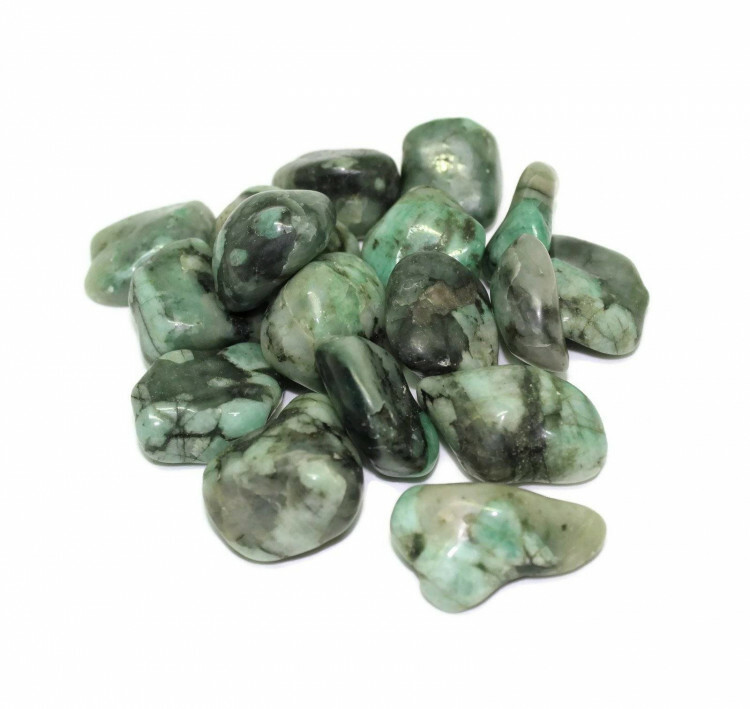 These Emerald tumblestones are are available in a few different sizes and two quality grades. These stones would look amazing in a bowl or a small vase, and they are suitable for use in fish tanks or aquariums, too. Because of their lovely green colour, they suit natural displays nicely; in and around plant pots, etc. 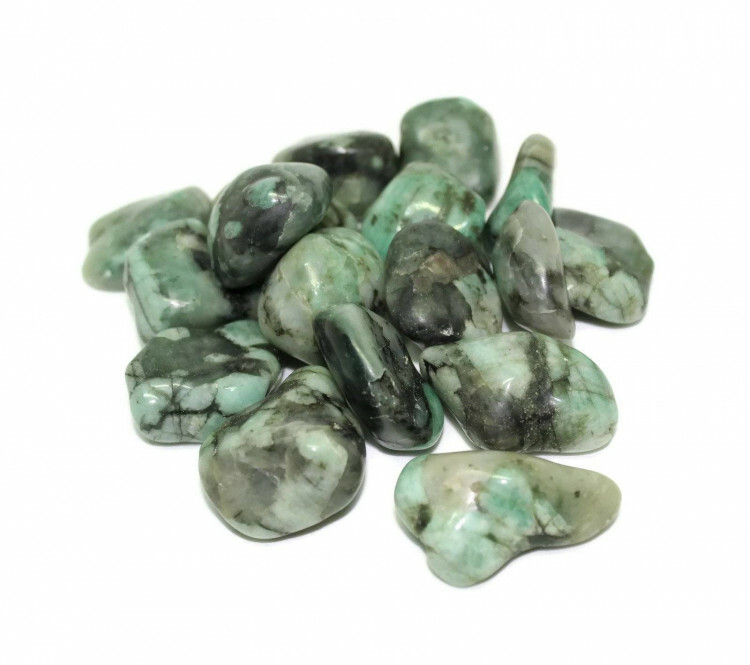 For more information about Emeralds, and a list of all our related products, please see our main ‘Emerald’ page.